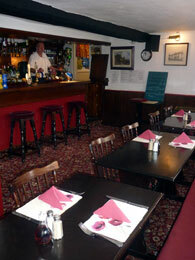 Richard and Mandy extend a warm welcome to our traditional family run pub in Williton, Somerset. Aside from a fine selection of local beers, ales and ciders, we also offer good hearty food and a warm atmosphere in which to enjoy them. Our large suntrap beer garden provides an excellent spot to enjoy the sun and a refreshing drink in the summertime. Well behaved dogs and children are welcome. Williton is an ideal base to explore the stunning scenery of Exmoor national park, as well as local attractions such as the West Somerset Railway, which runs steam trains from the local railway station. A short 10 minute walk through the village finds you at one of the best preserved steam railways in Britain. The West Somerset coast and surrounding countryside is considered to be some of the finest in England, offering a variety of recreational pursuits including pony trekking, sea and river fishing, links golf, walking and National Trust properties and gardens. From Bridgwater: Take the A39 signposted to Minehead, Drive 17.5 miles to Williton, At the mini roundabout in the centre of the village turn left onto the A358 signposted Taunton, We are approx 200 yards on the right. From Taunton: Take the A358 signposted to Minehead, Drive 16 miles to Williton, Enter 30mph zone and continue down Tower Hill, We are approx 150 yards past the Methodist church on your left. Directions from Minehead: Take the A39 signposted Bridgwater and Taunton for 8 miles. At the mini roundabout in Williton turn right signposted Taunton, We are approx 200 yards on the right.